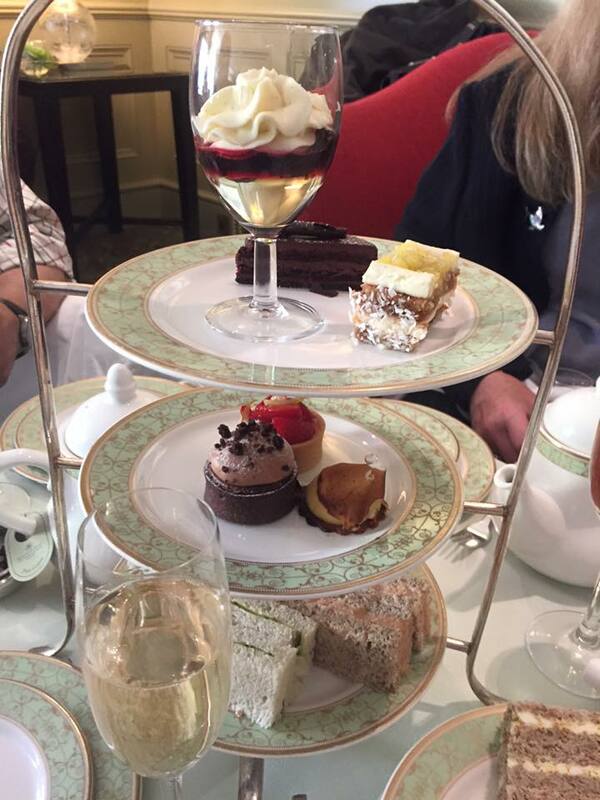 Or so says the menu of Anna’s tea room, as I peruse its thick, heavy-set and gilded pages trying to make a decision. 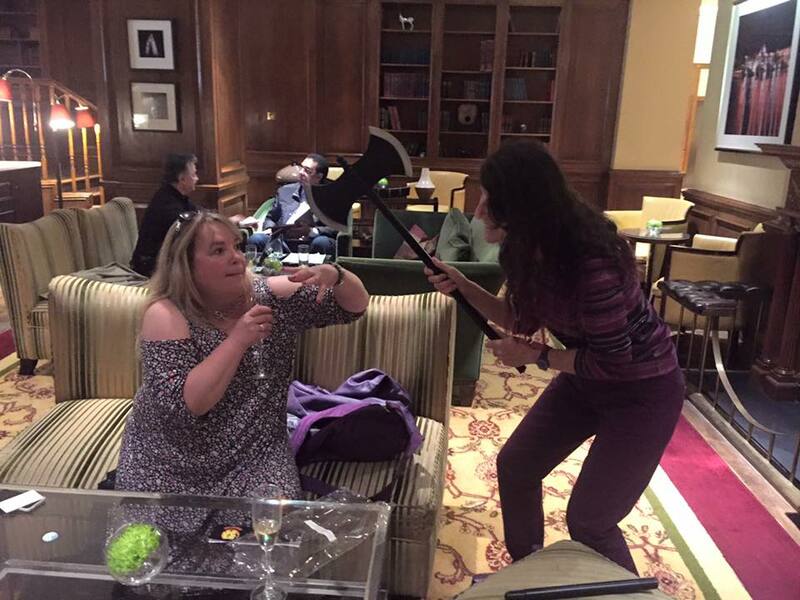 You see last month I was a very fortunate (and very smiley) reviewer who was invited by No Exit Press to experience the delights of afternoon tea with accompanying champagne at The Grosvenor House Hotel, Park Lane, London. 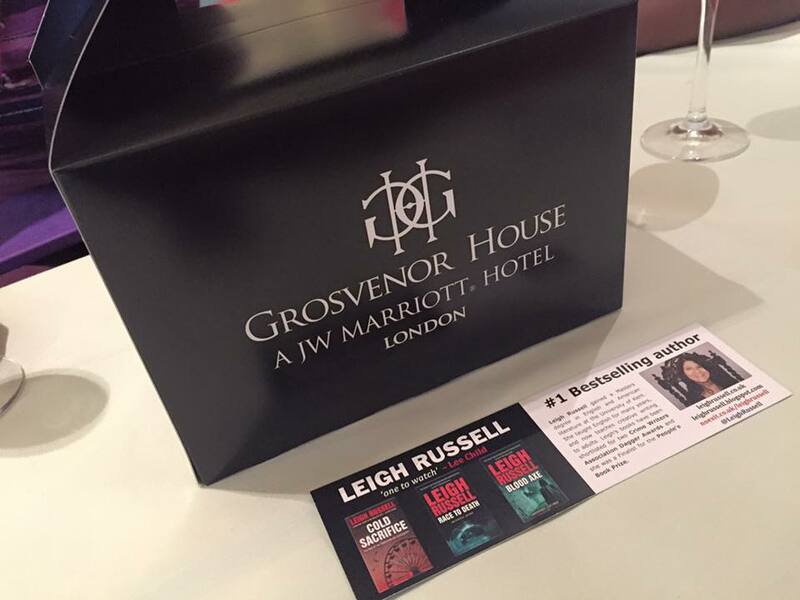 There were several other reviewers and bloggers there along with Guest of Honour, author of the DI Geraldine Steel and DI Ian Peterson serial thrillers, Leigh Russell. we were directed to our tables to order. Tea was the first order of the day, and there were plenty to choose from, however as a person whose preference is “builders brew” that comes mainly from Yorkshire, I think I was a tad over ambitious in my selection, but in the spirit of adventure I had to try their Flowering Red Amaranth tea, just because it sounded so intriguing. After tea, some seat shuffling and a few more photo’s we were given a palate cleansing tropical fruit coupe, before being served with finger sandwiches, mini pastries and deliciously sweet desserts, before the final course of warmed plain or raisin scones with a selection of jams and clotted cream. All of which was absolutely gorgeous, and surprisingly more filling than you may think. For four hours we laughed, ate, drank, (did I mention the champagne?) asked questions, talked books and reading, and Leigh’s upcoming releases. I had a fabulous time. In stark contrast to the dark themes of her regular #1 bestselling thrillers, Leigh is a delightfully sunny person to be around, is welcoming to all who enjoy reading, and supportive of those still aspiring publication. If you get chance to catch up with her at any of her regular book signings, or events (details of which can be found on the No Exit Press website) I highly recommend you do so.